Outreach Travel Medical Insurance provides medical coverage to U.S. Citizens traveling outside of the United States with home coverage for brief returns, and Non U.S. Citizens traveling outside of their home country. Travel medical protection offered by Outreach Travel Medical includes outpatient treatment, emergency services, emergency medical evacuation, and more. Outreach Travel Medical Insurance offers a benefit period of six months of incidental home country trips up to a cumulative two weeks with the option to renew for up to 24 months. 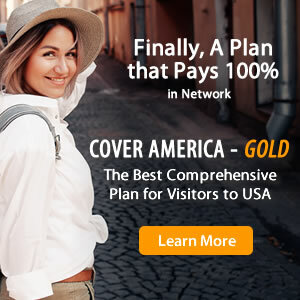 Outreach Travel Medical Insurance is best suitable for U.S. Citizens traveling outside of the United States with home coverage for brief returns, and Non U.S. Citizens traveling outside of their home country . U.S. Citizens traveling outside of the US with home coverage for brief returns, and Non U.S. Citizens traveling outside of their home country. How to Buy Outreach Travel Medical Insurance?